I'm a HUGE Romulan, Dominion, Breen, and Vulcan fan. My favorite characters are Spock and Data, so when I watched my first Trek movies, TWOK and Nemisis, I was very upset. I cried when Spock said fairwell. I like TOS, TAS, and TNG, and wish I could find a place to watch DS9. In the early days of his creation, Data stumbles upon a young boy living in the colony, who gives him a present. A vicious civil war erupted within the Rihannsu Star Empire, its people divided by those who would wish to wage peace with the Federation, and those who would rather stand without them. But, when the calm is restored, the Empire finds themselves in the worst military stance that they could imagine. With most of their fleets destroyed and 3.1 billion Rihannsu dead throughout the Empire, coupled with the 2.3 billion killed or assimilated by the Borg the year before, their strength has wavered and fallen. And the word has gotten out. With the Klingon Empire, Kzinti Hegemony, Torhie Unity, and Zentrons pressing the borders, and revolts continuing as the liberalists vie for peace, the Empire is in shambles. 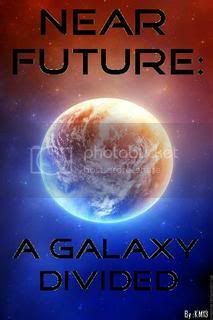 And now reports are flooding in of lone Dominion ships haunting Rihannsu space. When Tal Shair operative Tylar tr’Lagga uncovers a Dominion plot to lay waste to the Rihannsu Empire, the Rihannsu people must call upon the Khellian Squad and their own courage and fight to hold their Empire together, face the terror that lurks within the heart of the Empire itself, and win the battle that could very well prevent their undoing. Rheh en, potlhbe'chugh yay qatlh pe’eghlu? After all, if winning is not important, then why keep score? Valerii is a planet whose civilization is ruled by children, the adults becoming no more than mindless drones. Because of this, the children must be even more intelligent than their Terran adult counterparts - most especially when it comes to battling a disease native only to their planet. Spock, assigned to watch over a child of this planet, is soon drawn into a crisis planetwide on Valerii. And when his own life my lie in the hands of the children of Valerii, Spock may learn that children are more than capable of courage. A three part story, each with a different child, a different tale, and all changing Spock. It all starts in the year 2702, when a protest against the Federation government takes a violent turn, and those protesters rise and break away from the Federation to create their own empire. As new players enter the game, alliances are forged and broken, governments and politicians alike are corrupted and destroyed, and wars are declared, the balance of power soon tips in the wrong direction. But can a galaxy divided stand? Vulcan has been a member of the Federation for a very long time, but it seems that there have not been many points where anyone has questioned their ways. This is an argument between a pro-Vulcan and a per say "anti" Vulcan. This is not a story in the traditional sense. It's written like posts in a forum. Vignette. 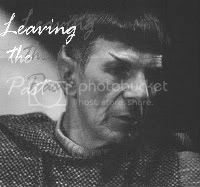 Set after Generations, Spock deals with his thoughts after Picard tells him of Kirk's death. The way we know it, the Prophets intervened, and the Dominion fleet was destroyed as it was coming through the wormhole. But what if the Prophets hadn't intervened? Forty years after the Dominion takeover, rebel forces are rising in unlikely alliances and betrayals. With forces running rampant and stakes high, both the Dominion and the Alliance must win the help of the only man who can truly turn the tide of the war: the long-lost war hero who drove away the remaining Q, Weyoun. On Himari IV, it was once the standard Federation colony. But then things went wrong. Now, the Enterprise will be surprised at what they find. Summary: When Spock and McCoy are propelled into a premature contact with the Dominion, they must settle their differences and fight to belay the ignition of a conflict with the most powerful force the Federation had ever encountered, and keep at-bay the nightmares and devastation of a Dominion War decades before it was ever destined to occur. Dammit, man! Weve got drug-hopped lizards and worshipping bureaucrats and bat-ships everywhere, and you tell me to relax? Ill tell you what, Mister Spock. You solve this one with your logic, and youll forever fall into the same almighty category as God. Summary: Set in the Ancient Destroyer Cycle universe. Was originally for the Borrowed Toys Challenge, but was too late for consideration. The Mrall'Orion are an infinitely powerful people, but when faced with Species Zero, the Mrall'Orion must decide if they should throw all their philosophy and lifestyle to the wind, and fight. Things take a turn for the worst when the day turns into something out of a children's story. Response to the "Children's Stories" Challenge. A transport to explore new planet Nelantus I goes awry, when the landing party is enveloped by a rainbow light, and disappears. Takes place a year after the Neverland "sets sail". 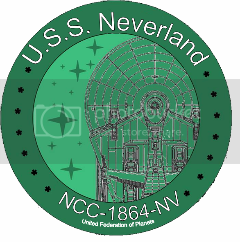 Join the USS Neverland and her crew as they fight to keep the Romulan rebel group from taking what's theirs.